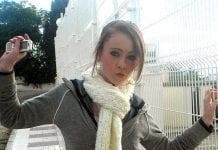 AN inquest into the death of missing Amy Fitzpatrick’s brother has been adjourned until March. Dean Fitzpatrick had been stabbed by his stepfather Dave Mahon last year, allegedly by accident, he claims. 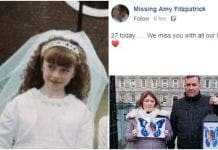 His sister is still missing having disappeared from her home on the Costa del Sol on New Years Day 2008. Mahon, who ran a real estate business in La Cala de Mijas, claimed he had not intended to kill Dean and was later released. He said he had stabbed Dean in self-defence in an altercation on May 25 in Dublin last year. His mother Audrey was present in court for the hearing.